As I’ve blogged about previously for AX 2012, there used to be a class called DimensionDefaultingControllerNoDS for exactly this purpose. However this class has been deprecated, so we need to go down a new path! To put it simply, we just need to create our own custom control type, let’s call it “Dimension Entry No Datasource” control. Include any other packages you want to reference. Think of this as an assembly (DLL) referencing other assemblies. Extensions is the new bag, baby! 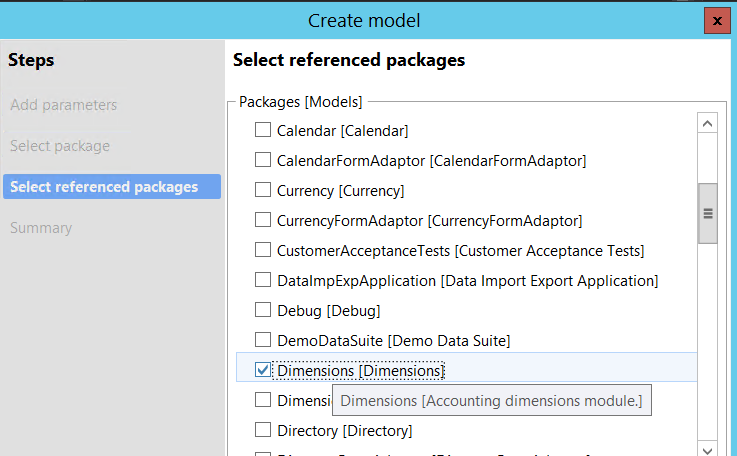 You’ll notice in the metadata I’ve also drafted a separate extension class for DimensionEntryControlBuildNoDS as well. In the class example above, you’ll see we have overridden the getDimensionRefRecId() method which is declared as Protected in the parent class. By setting it to public, we can use it as required in our dialog form. Build your package from the AX7 menu. /// Swenka internal use only. The new form I’m using above called MyTemplateForm is just a duplicate of the SysOperationTemplateForm. 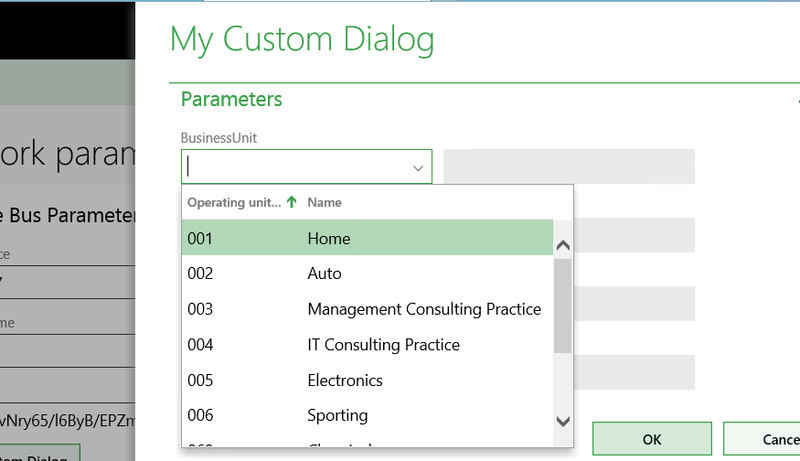 Expand the design to the DialogStartGrp group which is the main group for any SysOperation dialog. 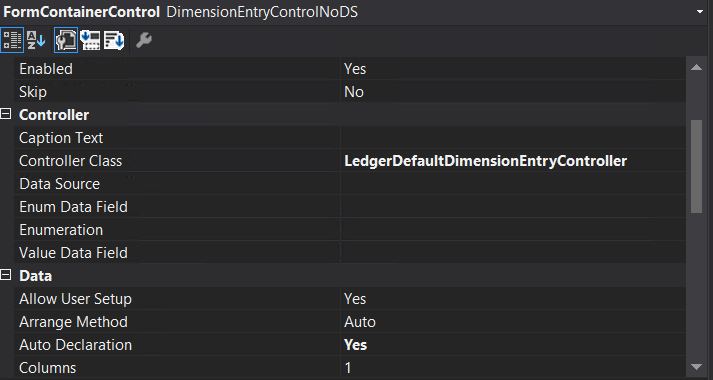 Typically a dimension entry control can infer the type of dimension entry we are requiring based on the Extended Data Type (EDT) of the table field that is associated to the control. This will either be a Default Dimension such as on master data, or a Ledger Dimension such as on General Journal lines. In our case however, we have no datasource on the form. So we must specify explicitly the default dimension controller class in the control properties. Also set the auto declare to True. /// Command control message called when the form's OK button is clicked.